A padded & organized pocket that can be used as a standalone bag or inside of other luggage for gear organization—the GORUCK GR2 Field Pocket is versatile. 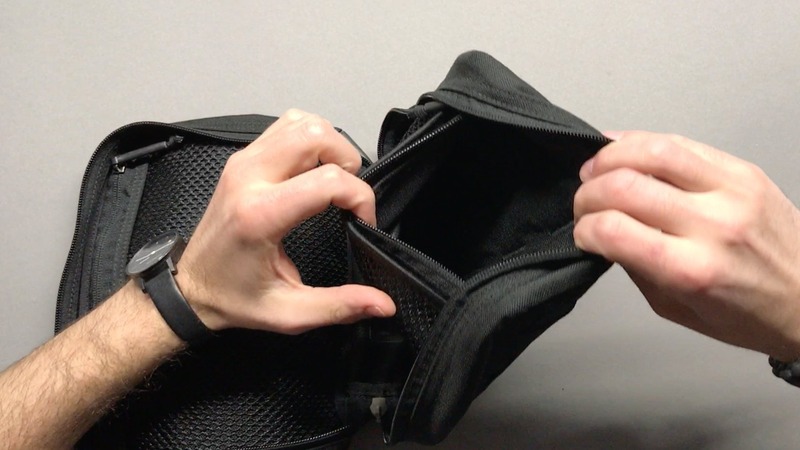 The GORUCK GR2 Field Pocket can be used as a “packing cube” to organize your gear inside your bag, or, a standalone bag due to the padding and handle. It’s great if you want to store more fragile electronics or camera lenses, and can handle just about anything else you throw at it / in it. The weight of this thing is pretty heavy, coming in at 11.1 ounces when empty (315 grams). That weight allows it to function as a standalone bag though, providing all the padding needed and a handle to carry it around with. With GORUCK, you usually trade weight for bulletproof durability. If you’re looking for a lightweight alternative, you may want to look elsewhere. The physical measurements come in at 9 x 7.5 x 3.75 inches (23 x 19 x 9.5 centimeters) making it a sizable bag for larger items. GORUCK offers many different sizes. 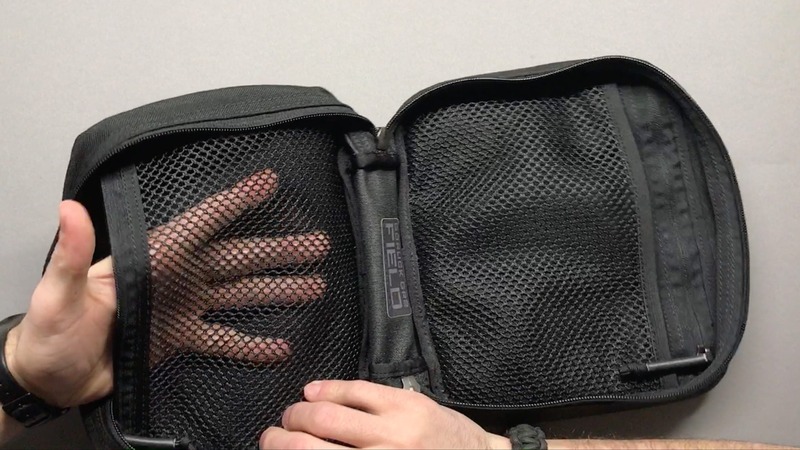 This is the largest, but if you want something smaller, take a look at the GR1 Padded Field Pocket or the Echo Field Pocket (which is perfect for a smaller toiletry bag or dopp kit). Inside, we’re looking at three pockets. One side has a mesh zip pocket and the other has an elastic band mesh pocket, with a fully covered zip pocket behind it. PRO TIP: If you have a carryon, pack this thing as well. You can toss the carryon above you in the overhead bin, and just keep what you need for flight in this thing. Pop it under your seat, and you can even attach it to the seat with a carabiner around the handle if you’re paranoid it’s going to slide all over the place. 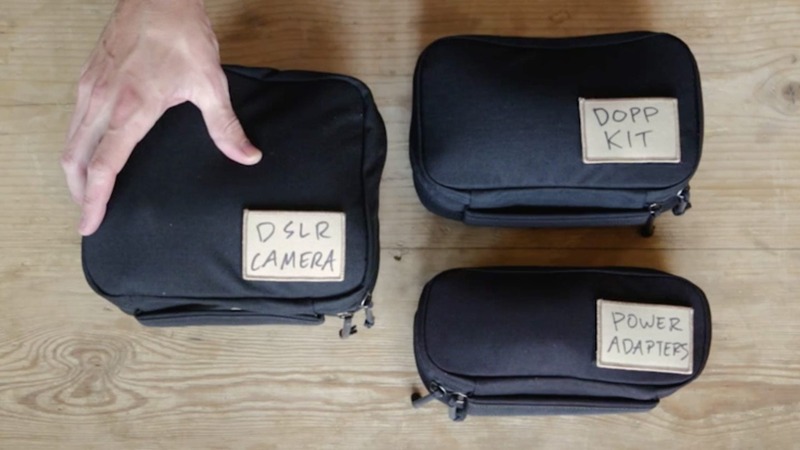 The velcro system GORUCK provides enables you to label each individual field pocket if you have multiple. 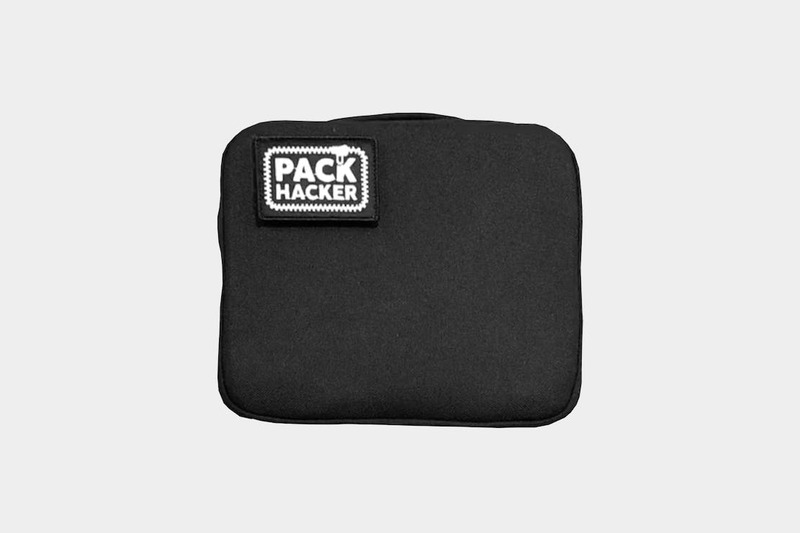 Of course, we like sporting the Pack Hacker patch, but you can create your own patches, or purchase some you can write on and make it a bit more functional if you organize things that way. With the clamshell opening, some of the bag feels like a bit of a waste of space, but it all depends on your packing style. 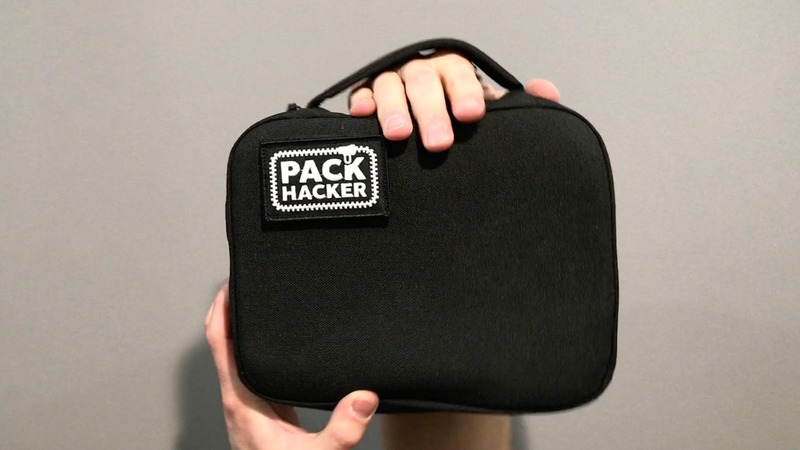 It’d be interesting to see a version that was a toploader, allowing organization of items more in the bag vs needing to use the organization pockets almost exclusively, or by zipping the bag up a bit to fit loose items inside. 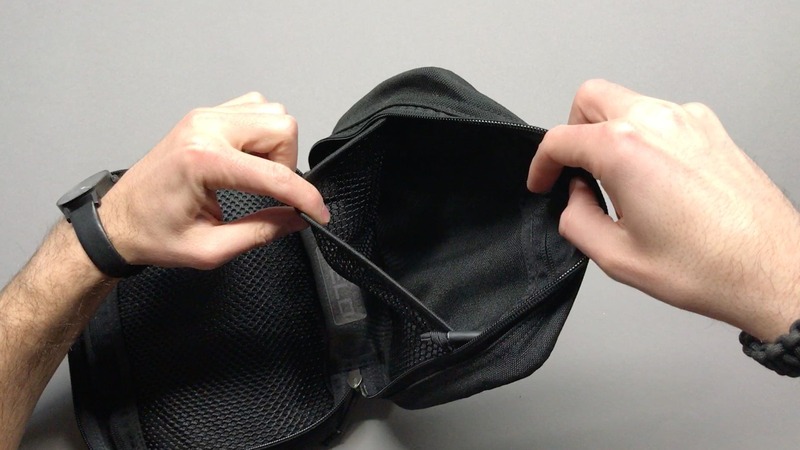 The MOLLE webbing makes it easy to integrate this field pocket with more tactical packs that provide the webbing to connect to. 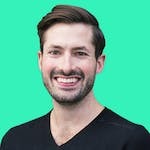 Even though the connection is just a tricky weave—the connection is almost permanent. 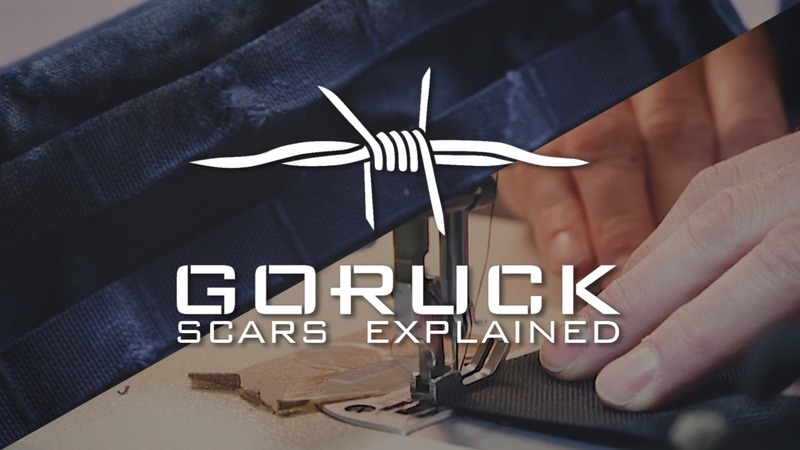 Although GORUCK uses some of the most durable material around from the 1000D CORDURA® fabric to the YKK Zippers, if something does go wrong, they’ll cover it with their Scars Lifetime Guarantee and repair it for you. This thing feels solid and padded. Worth the weight if you’re looking for durability. Still kicking. Still holding stuff. Holding up perfectly fine between flights, day trips, and hikes. Elastic band is starting to sag a bit when compared to initial use due to repeated stretching. The rest is holding up great. Looks slick with a low profile. Patch system makes it easy to stay organized. MOLLE webbing is easy to integrate with other packs. Great 3 pocket setup inside. The padding makes it quite heavy. We’d be curious to see a “top-loader” version vs the current clam shell design. Some of the space inside seems wasted due to this design choice. If you’re looking for a standalone organization bag, the GORUCK GR2 Field Pocket is a great choice. It’s probably overkill if you’re mainly going to leave it inside your bag or use it as a packing cube, but the extra padding will give you peace of mind no matter what you put inside of it.